Western Forest Products has joined ranks with many other Canadian lumber companies, making their first major purchase of a US mill. Acquiring Washington based Columbia Vista means they can offer more Douglas-fir products to their Japanese customers. But Western Canadian mills continue to struggle with both log supply and high fibre costs. 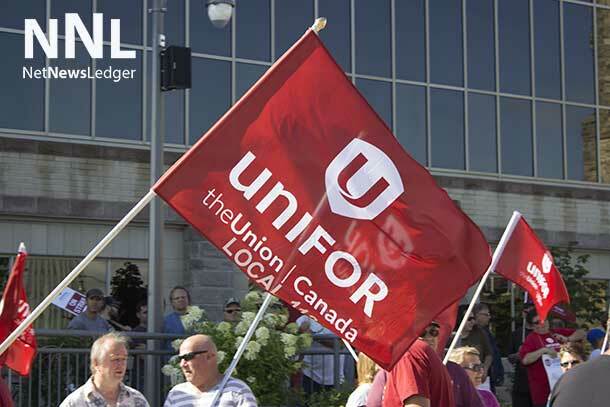 And while western mills are still in strike mode, Unifor members in eastern Canada have signed a four-year deal. In Forestry news, protesters have shut down a Sierra Pacific logging operation in California; Gov. Jerry Brown is proposing changes to that state’s logging rules; and the Real News on how the Finnish manage their forests. To all our US readers, we wish you a Happy Thanksgiving, and send you off with a story about preserving the US wild turkey hunt, “Save the Habitat. Save the Hunt”. VANCOUVER, British Columbia — Western Forest Products Inc. today announced that a wholly owned subsidiary of Western has entered into an agreement to acquire the assets of Columbia Vista Corporation and certain related entities located in Vancouver, Washington for consideration of US$30.5 million, including working capital of US$6.7 million. Working capital to be acquired is subject to a final determination at closing. Columbia Vista is a lumber manufacturer that focuses production on Douglas Fir specialty products for the Japanese and U.S. markets. Columbia Vista operates a sawmill business in Washington State and has been in business for over 60 years. The operations employ approximately 90 employees and produced approximately 60 million board feet of lumber in 2017. “…[this] provides Western the opportunity to expand its Douglas Fir specialty product offerings, particularly in Japan where our customers have been asking us to source Douglas Fir to complement our B.C. Hemlock….” said Don Demens, Western’s CEO. DRYDEN – More than 500 Unifor members in the Dryden-based Domtar Pulp Mill and Woodlands operations have voted overwhelmingly in favour of new four-year collective agreements. “Unifor has made it a priority to raise and equalize standards in the pulp and paper sector,” said Unifor National President Jerry Dias. “I’m pleased to say that both of these contracts achieve the Eastern Canada Pulp and Paper Pattern established by our union in April.” Last night, 230 maintenance, production and office employees from Unifor Local 105 at the Dryden Pulp Mill voted 87 percent in favour of their new deal while 275 wood harvesting, trucking and chipping employees from Unifor Local 324 voted in favour by a 94 percent margin. This Thanksgiving, the Sustainable Forestry Initiative (SFI) and National Wild Turkey Federation (NWTF) express gratitude for another productive year working together toward common goals. …More than 300 million acres of forestland throughout the U.S. and Canada are currently certified to the SFI Forest Management Standard, which includes strict criteria for water and air quality, biodiversity, and efficient use of fiber resources. …NWTF is dedicated to the restoration of the wild turkey and the preservation of the U.S. hunting heritage. Since it was founded in 1973, NWTF has helped increase the number of wild turkeys in North America from 1.5 million to a historic high of almost seven million. The organization’s 10-year initiative, “Save the Habitat. Save the Hunt,” promotes active forest management and conservation of upland habitat specifically. At least a dozen Humboldt County forest defenders hiked in to a Sierra Pacific Industries logging operation in the Mattole area, occupying the site, sending the log trucks coming in back out of the forest, effectively shutting it down. The activists were at the same area where a treesitter has been up since last week. 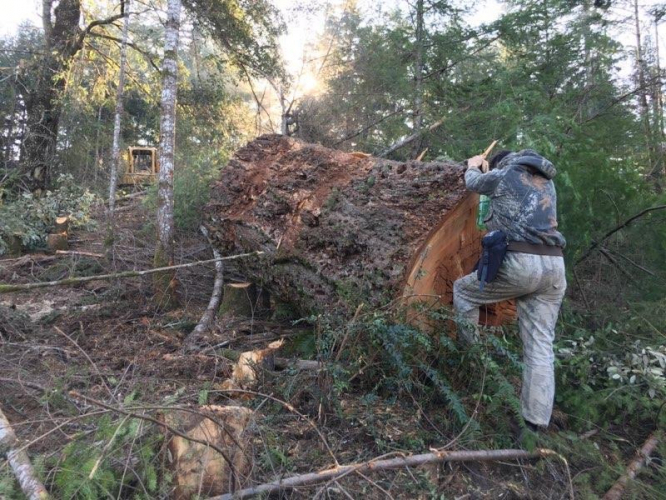 After putting up a tree-sit 100’ high in an active Sierra Pacific Industries‘ (SPI) logging plan last Thursday, about a dozen forest defenders were on the ground in the plan this morning, resulting in the shutting down of the logging activity. The timber harvest plan (THP) is in the Rainbow Ridge area in the Mattole River watershed in Humboldt County, site of a long-running, multi-pronged campaign to preserve the legacy forests there under Humboldt Redwood Co. (HRC) ownership. After brushing off President Trump’s charge that poor forest management is partly to blame for California’s recent devastating wildfires, Gov. 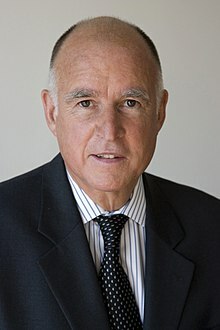 Jerry Brown is urging state lawmakers to ease restrictions on logging that were enacted under pressure from environmental groups. Brown is proposing one of the most significant changes to the state’s logging rules in nearly half a century, , as . In an effort to thin more forests, the proposal would allow private landowners with 300 acres or less to cut larger trees and build temporary roads without obtaining a permit. Environmentalists, however, want to make California’s logging rules even more restrictive, the Daily Wire said. But the recent deadly fires in both Northern and Southern California have prompted lawmakers to act. Months before devastating wildfires caused havoc in California, firefighters from across Europe headed to Sweden as authorities there struggled to extinguish several massive blazes. Sweden… ordered an air force jet to drop a bomb in the middle of the wildfire’s center to deprive the blaze of oxygen. The strategy failed, and Sweden’s fires continued to rage for weeks. But just a few hundred miles away, in neighboring Finland, officials worried about a far different problem: not enough wildfires. “From nature’s point of view, the diversity of species and habitats suffers from too few fires,” the Finnish Forest Association recently concluded in a report. …The forest service in Finland does carry out controlled burns of the forest floor mostly to clear away underbrush and also promote new saplings. …No, the key factor in California’s vulnerability to fires (and Finland’s resistance) appears to have to do with weather. 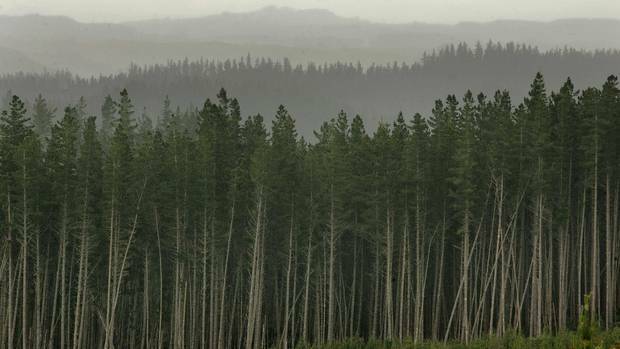 Wood fuel could dramatically reduce New Zealand’s industrial emissions within five years, but not without a policy framework that actively encourages it, Azwood Energy general manager Brook Brewerton says. The country has abundant wood residues sitting in its hills which can be transformed into energy, he says. Some firms are starting to look at it as an alternative to coal, but many lack the capital to make the change. Without that demand that fuel will remain in the hills, he said. The quickest way to drive that would be for the government to provide accelerated depreciation on renewable heat plant, or low-interest Crown loans for them. “It’s just waste and we can use it but we need to create the demand,” he told BusinessDesk. A decade ago, the U.S. mandated the use of vegetable oil in biofuels, leading to industrial-scale deforestation — and a huge spike in carbon emissions. …The tropical rain forests of Indonesia, and in particular the peatland regions of Borneo, have large amounts of carbon trapped within their trees and soil. 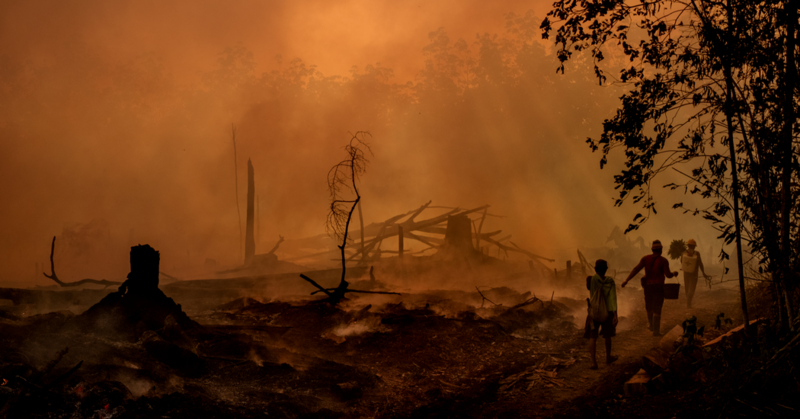 Slashing and burning the existing forests to make way for oil-palm cultivation had a perverse effect: It released more carbon. A lot more carbon. NASA researchers say the accelerated destruction of Borneo’s forests contributed to the largest single-year global increase in carbon emissions in two millenniums, an explosion that transformed Indonesia into the world’s fourth-largest source of such emissions. Instead of creating a clever technocratic fix to reduce American’s carbon footprint, lawmakers had lit the fuse on a powerful carbon bomb that, as the forests were cleared and burned, produced more carbon than the entire continent of Europe.